Add my address to the eLuna kosher spa mailing list and email me about specials. This is an opt in feature of eLuna. You will not be added to the mailing list unless you sign up. The Herods Vitalis is an exclusive boutique adult spa hotel offering rest and relaxation, quiet and privacy away from the crowds in the city, but adjacent to the boardwalk and the sea. The Herods complex includes three hotels in Eilat: The Forum, Herods Palace and Herods Vitalis Spa Resort. The The Vitalis is one of a select group of outstanding hotels worldwide and one of the most luxurious spa resorts in Israel. The Vitalis Spa was designed for the discriminating guest. The self-contained Vitalis has 64 luxury rooms and suites each with its own private balcony and sea view. 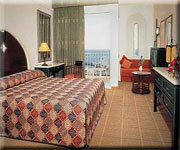 All the rooms at the Vitalis overlook the Red Sea with the mountains and desert as background. This is an unforgettable setting, and one that you will be talking about for years to come. Prices vary at the hotel's discretion. We will advise the price for your dates. The Vitalis welcomes guests over the age of 18 yrs. Facilities at the Vitalis Spa include an outdoor exercise deck state-of-the-art fitness centre 12 seater Jacuzzi hot and cold cascade waterfalls open air thalasso mineral pool hydromassage treatment room a roof garden for mud treatments Morning newspaper delivery Juice Bar Open all-day lounge with buffet Lawrence Chef Restaurant an outstanding combination of health and gourmet cuisine. Free shuttle to and from the airport. Dining: All stays at the Herods Vitalis include half board (dinner and breakfast). Breakfast is served in the lounge on the mezzanine till 12:00 noon. After breakfast a buffet of sweets and drinks is arranged in the dining area, open to guests throughout the day. At mid afternoon a light buffet is arranged in the dining space. Guests of the Vitalis are welcome to visit the lounge at the Herods Palace, also open all day. Treatments: A host of massages are available from relaxation, aromatherapy, Thai, shiatsu, holistic, lymphatic, Swedish and reiki plus facials for every skin type for men and women. The unique indigenous marine and desert ingredients are incorporated into many treatments such as salt scrubs, mud wraps and algae marine peelings alongside hydrating seaweed wraps, and a special after sun body care treatment. The Vitalis signature treatment is the Shirodhara, part of the Spa's ayurvedic menu. This involves a steady stream of warm oil which is poured onto the centre of the forehead (the third eye) for a total relaxing and calming effect. Click here for the list of massages and treatments. 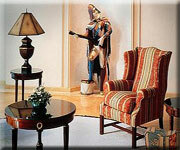 The hotel recommends that you reserve treatments should be reserved in advance of your stay. Activities include a morning walk, mountain biking, tai chi, chi kong, sunset meditation, yoga and every form of water sport. This offer is based on room availability and cannot be combined with any other offer.